Obama's Candidacy Angers, Excites Hate Groups Two neo-Nazi skinheads were accused this week of plotting to kill Barack Obama. Although Obama was never in real danger, law enforcement agencies worry that his success could galvanize white supremacists. 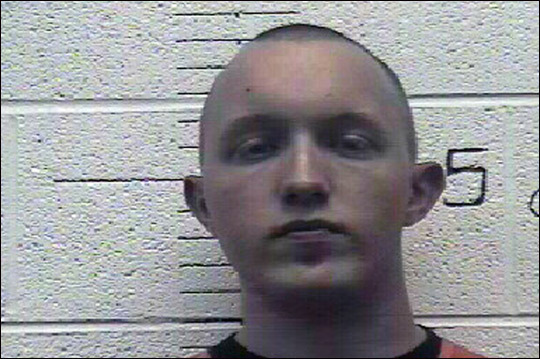 Paul Schlesselman, 18, of West Helena, Ark., is accused of plotting to kill Barack Obama. 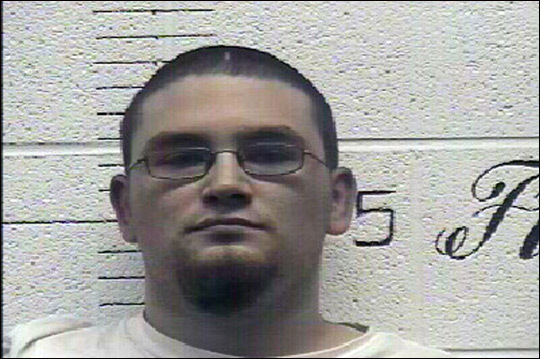 Daniel Cowart, 20, of Bells, Tenn., was also arrested in the alleged assassination plot. The charges Monday against two neo-Nazi skinheads accused of plotting to kill Barack Obama drew attention to law enforcement's simmering concerns over how white supremacists are reacting to the possibility of a black president. The alleged plan that Daniel Cowart of Bells, Tenn., and Paul Schlesselman, of West Helena, Ark., were hatching was fantastic in its scope. Federal agents said Cowart and Schlesselman planned to rob a gun store, target students at a largely black high school and then try to kill Obama. The two men did not expect to be successful, but they wanted to die trying, investigators said. They said the two planned to drive as fast as they could toward Obama and shoot at him from the windows of their car. They allegedly had discussed wearing white tuxedos and top hats for the occasion. The suspects are being held without bond on charges of possessing an unregistered firearm, conspiring to steal firearms and threatening a presidential candidate. This is the second white supremacist plot against Obama that authorities have revealed. In August, just days before Obama accepted the Democratic nomination in Denver, police arrested three men with white supremacist ties for possibly threatening him. While law enforcement officials say Obama was never in any danger in either situation, they are also quick to say that they cannot afford to take these cases lightly. And they have been expecting new challenges from white supremacist groups. "There is a probable hypothesis that in the event that Obama becomes president that you could have a galvanization of these white supremacist groups," said John Karl, the officer in charge of the Los Angeles Police Department's criminal conspiracy unit. "Obviously, law enforcement needs to be prepared, and how do you prepare? You need to become as resourceful and comprehensively understand the groups and individuals involved." Karl says the First Amendment ties law enforcement's hands. Officers cannot move in until and unless these groups actually commit a crime. "If no crime has been committed, no activity has come up on the radar screen, we can't arbitrarily start rounding people up," he said. "There is a little problem with the Constitution and things like that." Travel out of metropolitan Los Angeles — to Southern California cities farther inland where supremacists have traditionally congregated — and it is clear that law enforcement is in a state of alert. Chris Keeling is part of the FBI's hate crimes task force in Santa Clarita. As he sees it, Obama's effect on the hate movement is no longer theoretical; it has already happened. "There is more on the Internet. There are more flyers, leafletting going out, because now they have a target," he said. "Take Obama out of the situation, you're still going to have leafletting. But having Obama in there and being a stone's throw from being the president, has it increased the Internet activity? Absolutely, absolutely." These days, Keeling works about six hate crime calls a week. Some of them are serious. A couple of months ago, skinheads beat up a customer at a restaurant because he was black. Others are crimes of opportunity. Obama posters, for example, have become an easy target for vandals to deface. The FBI set up a task force in Santa Clarita partly because racist skinhead gangs have long been a fixture there. For years, the Antelope Valley had been a white enclave — a refuge from Los Angeles. When immigrants began moving in, hate groups saw their membership ranks grow as whites in the neighborhoods banded together. Keeling said Obama's candidacy is adding fear and uncertainty to an already volatile mix. "This is different. This is new. This has never happened before," Keeling said of Obama's candidacy. "We're not doing anything extra, but we're kind of being more cognizant of things." What the groups were saying — "Jews and blacks coming out of the urban areas are going to take over this white nation of ours" — has occurred, he said. You only have to look to the Internet to see how white supremacist leaders such as David Duke are using Obama to rally their troops. Duke has called Obama a "visual aid for hate groups." "This is a cultural and racial battlefront," said Levin. "Barack Obama is symbol No. 1 of the worst the future has to offer." While Obama may be an easy focus of discussion for haters, he hasn't unified them. In fact, in many ways, he has managed to divide the movement. Tim Zaal, a former white supremacist from Los Angeles, says the split Obama has created is almost generational — between old-school Ku Klux Klan types who are viscerally against a black man running for president and a new wave of haters. "You have the more — kind-of strange to say it — progressive white attitude: The worse it gets, the better," said Zaal. Zaal says the new generation is particularly focused on what they see as the coming race war. They have been trying to spark one for years. Some think, even hope, that an Obama presidency will do just that. Zaal says some will actually vote for Obama to send the country into a tailspin. "The faster this country falls, the sooner white revolution will arise," he said. That mindset is all over the neo-Nazi Web sites. On one, a man with the pen name "LastOfMyKind" wrote, "Could it be that the nomination of Obama finally sparks a sense of unity in white voters? I would propose that this threat of black rule may very well be the thing that finally scares some sense back into complacent whites." This is what worries the police and the FBI.